As someone who is running a business, you want to make sure that every customer that you draw in will return and be your customer again. You know that your business will benefit from having a customer return again and again. When you have customers who will come back as returning customers, then your business will succeed in big ways. Offer your customers a small gift with their purchase of $10 or more. Allow your customers to know that you appreciate them by giving them something small when they make a purchase – something as simple as a pen that features your store name or a keychain with your logo can work to draw a customer in. Start a campaign where one lucky customer each month is given a prize of some kind. Make the rules so that each customer needs to make a purchase of at least $50 in order to participate, and make it fun for the customers by allowing them to earn more entries based on the amount of purchases that they make. Offer your customers a permanent discount card that provides them with 10% or less off each of their purchases of $100 or more. This kind of card will remind customers that they will always get a good deal through you and it will bring them back. Choose to create a kind of membership card for your customers where they will earn points through shopping and where they will be able to use those points when they get 100 of them racked up. You can decide on the terms of the card and its benefits to make it fit with all that you have to give. Provide gift certificates for purchase available at a 5% discount. For example, you may allow your customers to purchase a $100 gift certificate for just $95. You can use a gift certificate template to help you create the kind of gift certificate that will work for you. Through the help of a gift certificate template, you can make such a promotion work out. Put out flyers that feature tear-able coupons that are available to everyone on a first come, first discount basis. You determine the amount of coupons and the value of them, then use them to draw in all kinds of customers. Use social media to bring your customers back by creating a discount just for your followers on social networks. Create a 10% off coupon and put it on your social media pages. Encourage customers to print the coupon and bring it into the store in order to receive their discount. This little printing exercise will be a fun for customers and on second hand it is surety that the customer is your social fan. Stay in touch with your customers by sending out SMS or whatsapp messages featuring the current deals that you have available. Let them know about any promotions that you have going on that may benefit them. Contact your customers on their birthdays, their anniversaries, or other special days, and offer them a discount toward their next purchase. You decide on the amount, and bring customers back by celebrating with them. 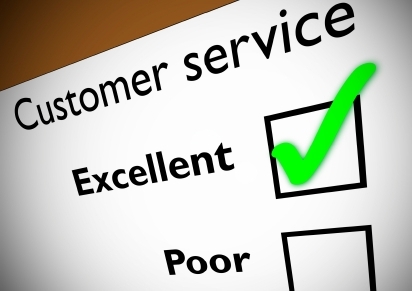 Last, and most important, be sure to always provide your customers with great customer service. When you have a staff on hand that will treat your customers right, then you know that you will have return customers. Offer to carry your customers purchases out to their cars, greet them warmly, do all that you can to show that you care about them. You can help your business succeed by looking out for your customers and by drawing those customers back again and again. Anna is a graphic designer who loves to design templates in Microsoft Office. She is expert in designing templates for professional and personal use. By using her templates, you can create a gift certificate, award certificate or any type of certificate with the matter of times. You can see her work at Word Layouts.